Education is one of Alaska Sea Grant’s key strategies for reaching its strategic goals and objectives. It is the means to address the goal of increasing the environmental literacy of Alaskans and visitors to Alaska and it also supports research and extension. Alaska Sea Grant is both a leader in Alaska marine-related environmental and K-16 Science-Technology-Engineering-Mathematics (STEM) education and in providing its community and industry partners with information that is accurate, timely and useful. For more information, please contact Marilyn Sigman, Education Program Leader. Alaska-relevant, place-based lesson plans and units aligned with Alaska State Science Standards with connections to other subject areas. Our program also includes professional professional development, grants to Alaska Schools, and the popular Get-Your-Feet-Wet annual online event. Take classes in seafood processing and technology, outboard engine maintenance, and more. Browse meetings, workshops, and symposia. Guidance and resources for planning and implementing citizen science or community-based monitoring projects. Our Marine Advisory Program agents coach students in this ocean-related competition between Alaska high schools. The winning regional team competes nationally. 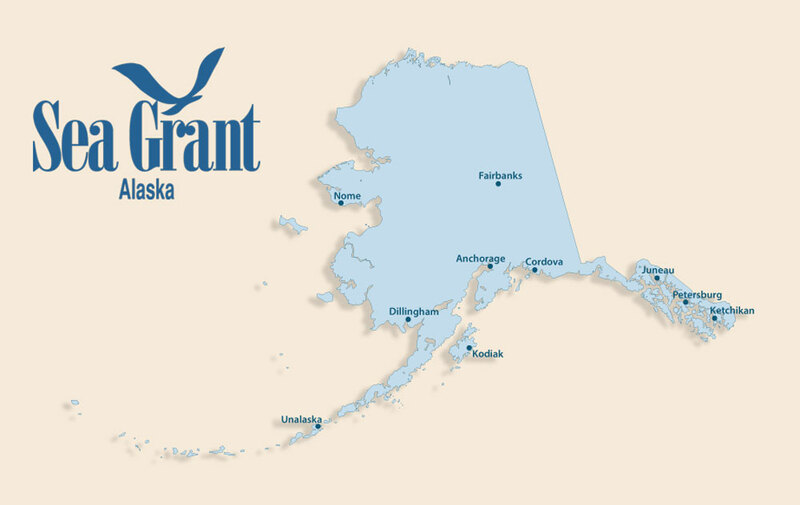 Learn more about the Alaska Sea Grant State Fellowship, Knauss Fellowship, and more. We can help guide your Alaska marine science education and outreach efforts. Marine Advisory Program faculty can help with your next community education program, school visit, or career fair. Learning about or teaching marine science? Check out our Bookstore.